A native of the St. Louis, MO area, Dr. Tillman received his undergraduate degrees in Health from Eastern Illinois University and in Life Sciences from Logan University. He was a collegiate football and tennis player and continues to be an avid tennis player and field goal kicker. 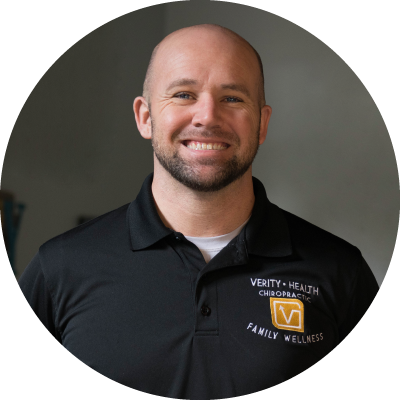 Dr. Tillman graduated from Logan College of Chiropractic in 2013 and practiced in Thomasville, GA before moving to the panhandle of Florida where he practiced chiropractic and taught tennis. Dr. Tillman’s love of chiropractic stems from his high school and college days when problems with his back and pelvis impacted his performance in sports. His philosophy is simple, the power that made the body, heals the body! Dr. Travis Tillman’s goal is to help transform the community of Tallahassee by bringing about a movement of positive, healthy lifestyle choices for individuals and families. He will strive to help you reach your God-given potential to fulfill your destiny.